CCSCT staff attended the AACOG Weatherization Luncheon on Thursday, October 11th. During the luncheon, special recognition was given to Ernest Leal, Guadalupe County Coordinator and Merlene Salmans, Atascosa County Coordinator for referring clients to the AACOG Weatherization Program for assistance. 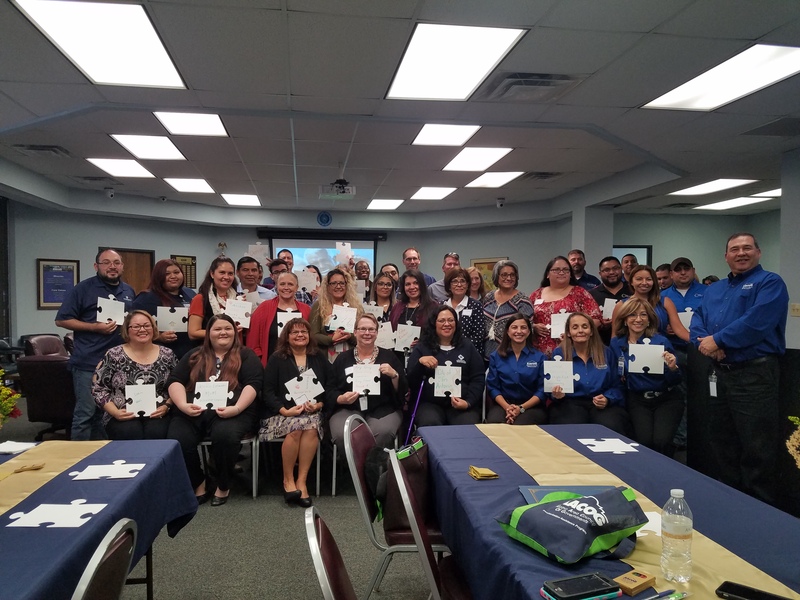 Also pictured is Cindy Perez, Guadalupe County Coordinator, Vicky LeMeilleur, Kerr County Coordinator and Sandra Royal, Atascosa County Coordinator. 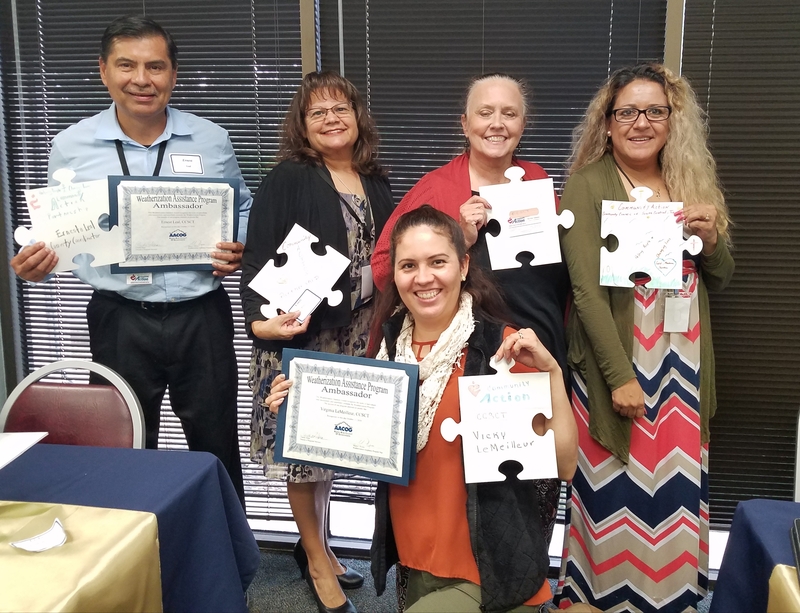 Each puzzle piece held by a CCSCT staff member is used to represent the part they play in the weatherization community.